Show 07:00PM. 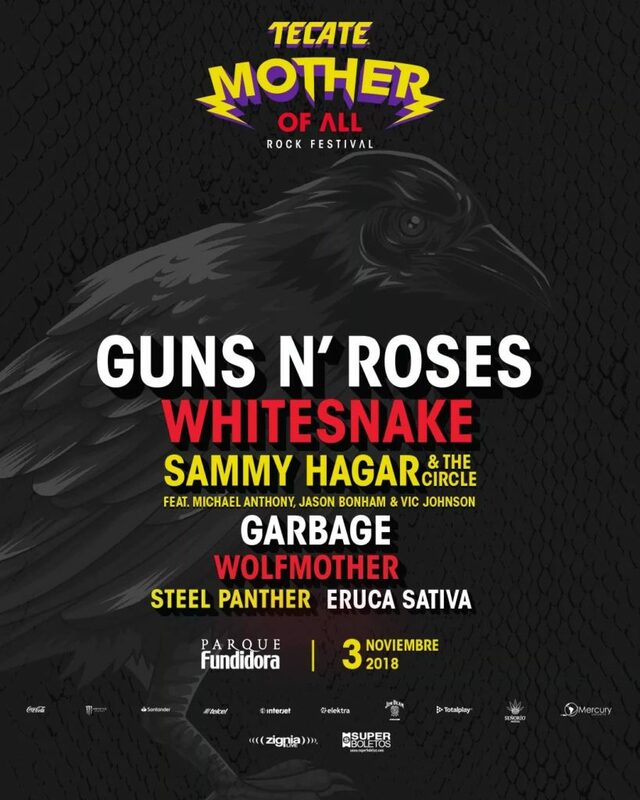 The Tecate Mother of All Rock Festival returns to position itself as a legendary celebration with the rock bands that have conquered the entire world. It is time to relive the intensity when listening to the guitar riffs, the explosion of the drums and the voices singing the songs that have marked generations of rockers. Because rock is not a musical genre, it's attitude and lifestyle. 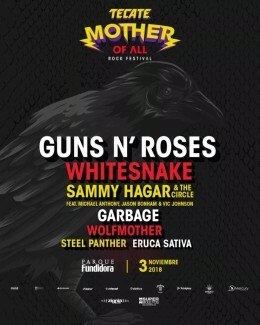 We are not another festival, we are Tecate Mother of All Rock Fest. F@#ck I wish I could ne there! I've got some bad news for the other bands on this bill, and I've seen them all. Sammy will blow them off the stage. Rock on Sammy!